A ground breaking research project by the GW4 Alliance aims to clean up water from a Cornish tin mine, using algae to harvest the precious heavy metals and produce biofuel at the same time. GW4 brings together the South West and Wales’ four leading, research-intensive universities: Bath, Bristol, Cardiff and Exeter. The Wheal Jane tin mine, near Truro in Cornwall, closed in 1992. 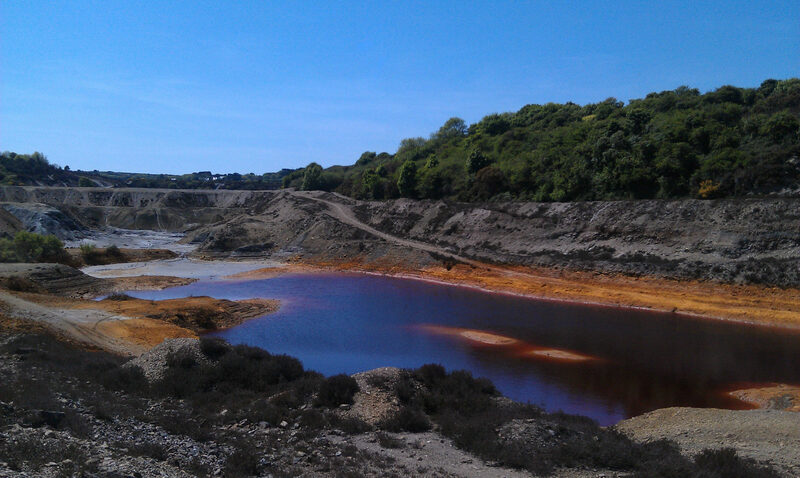 The Department of Environment, Food and Rural Affairs (Defra) has since that time funded the active mine water treatment scheme to protect the River Fal from pollution. This scheme is managed by the Coal Authority and operated by Veolia. Dr Chris Chuck, Whorrod Research Fellow from the University of Bath’s Centre for Sustainable Chemical Technologies, said: “It’s a win-win solution to a significant environmental problem. We’re putting contaminated water in and taking out valuable metals, clean water and producing fuel. Dr Mike Allen, Microbial Biochemist at PML, said: “Acidic waste run off from mines is not a regional issue restricted to Cornwall, it’s a global problem. It’s a particular problem in the developing world where costly clean-up and remediation activities are ignored because of their high cost and low return.